Master the art of throwing a range of professional knives. This ancient competitive sport includes a specialist target, and experienced instructors. Calculate number of rotations from the target. 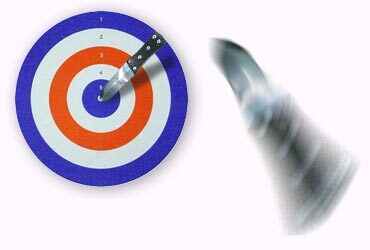 As you throw the knife it will spin, therefore the correct target distance must be judged by the competitor. 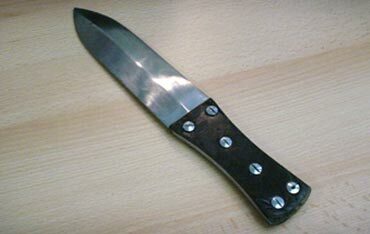 These are images of the awesome array of knifes you will learn to throw. 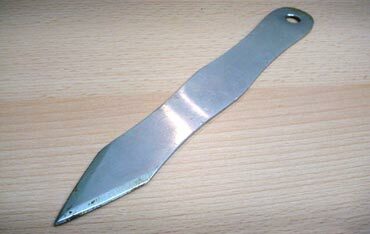 As the name indicates, special skill must be used to throw this knife effectively. The heaviest and largest of the Knives. Small, fast and agile... deadly accurate in the right hands. 2 cutting edges, aerodynamic bat shape design. 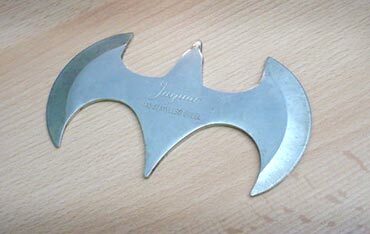 Only a true knife throw master can accurately guide this beast to its target.